I have a lovely new certificate! 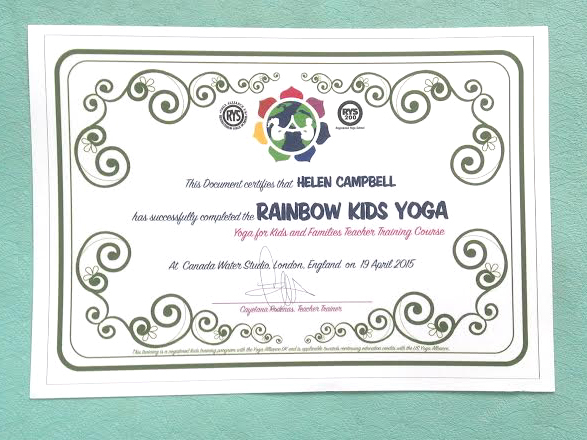 I had such an AMAZING time at my recent Rainbow Kids Yoga Teacher Training. 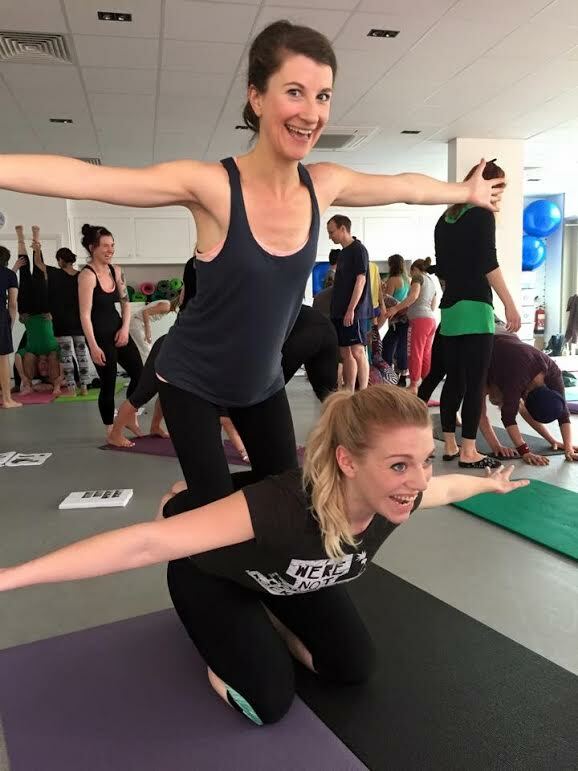 This blog post is to let you all know how incredible yoga can be for kids…so much fun and creativity, much more than I ever thought was possible before I took the training. It has unlocked something within me that I have been incorporating into ALL my classes, for grown ups too. The human connection to others and for yourself can have profound effects…anyway, enough of me talking. I want to show you some pictures and videos and you’ll get more of an idea about what I’m talking about. Here’s me flying on my new friend Yasmin …so much easier than you’d think! Respect for yourself and others, developing self awareness, management of emotions and finding a way to deal with the pressures of modern life are all things that young children should be learning in schools and during after school play. As an introduction to kids and family yoga I’m hoping to book a venue in Coventry on Thursday May 28th to teach kids 2-18 plus their families, should they wish to join in! It is during the May school holidays. In order for me to schedule the classes by age group, could you please register your interest by telling me the age of your children and where you live and I can book a venue and sessions accordingly. I would then hope to run after school classes at 4pm for kids from 5-18 (split into 3 age groups 5-8, 9-13, 14-18) with classes for toddlers/pre-schoolers happening on a weekday morning. ← Start them early….Yoga for children.